After School Programs in sports, technology & more open to students from any school! 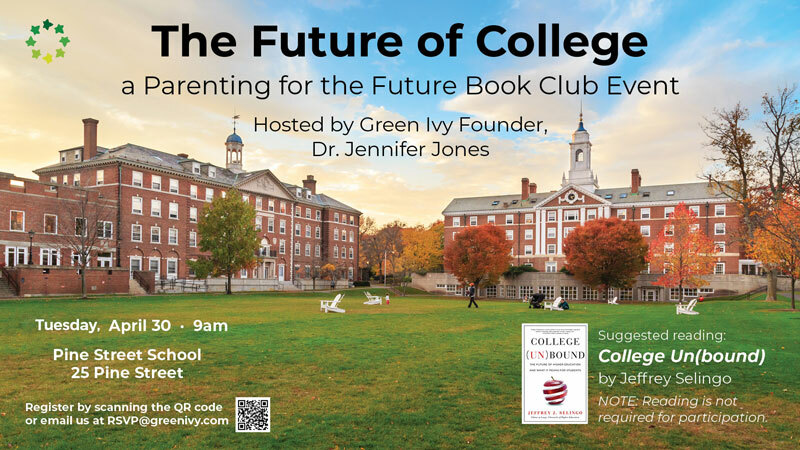 Parenting for the Future Book Club, led by Green Ivy Schools' Founder, Dr. Jennifer Jones, is a one-of-a-kind opportunity for parents to get together and discuss how technology is shaping the future for their children. All parents are welcome! Admissions Events welcome parents to see Pine Street School in action!